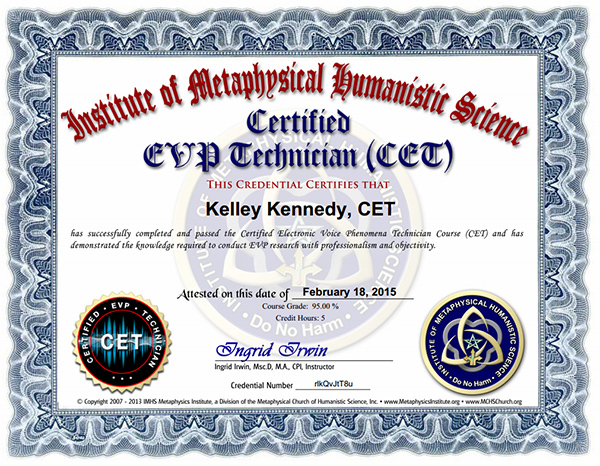 Kelley Kennedy had her first paranormal experience in the 6th grade when she saw a full body apparition of a female while staying with a friend. Kelley became a member of PRISM in 2005 after contacting the group for help with a haunted apartment. After PRISM investigated at her apartment, she was intrigued that groups existed who studied paranormal activity to look for scientific proof of life after death. Kelley Kennedy succesfuly completed and passed the Electronic Voice Phenomena Technician Course (CET) at the Institute of Metaphysical Humanistic Science on February 18, 2015. 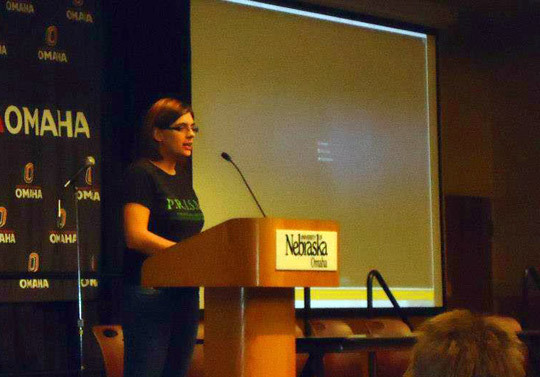 Kelley is the current Director of PRISM Omaha.